T/Sgt. 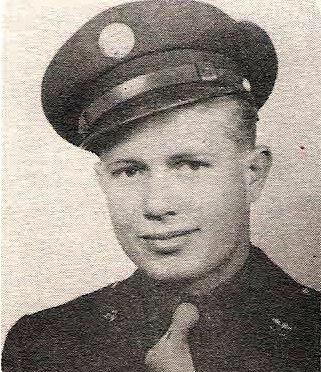 William B. Bellomy, Jr., son of Mr. and Mrs. W. B. Bellomy, attended Newcastle High. Entered AAF, 1940, trained at Mt. Home, Idaho. Served in Italy. Awarded Air Medal with Oak Leaf Clusters, ATO, AD and EAME Medals and 3 Bronze Stars. Discharged in 1945. Listed as Bellamy, William Burges, Jr. on Service Roster Page.